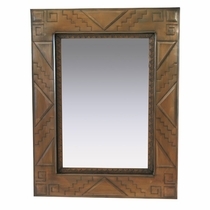 More like pieces of stunning architecture, our rustic rectangular and square tin mirrors are the epitome of Mexican tin artistry. 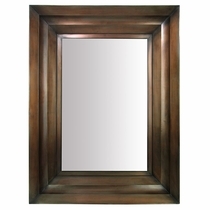 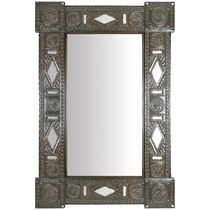 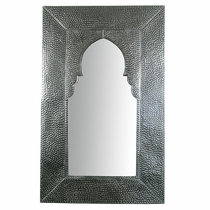 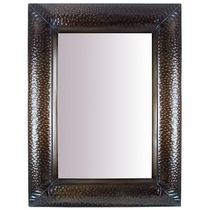 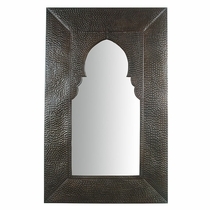 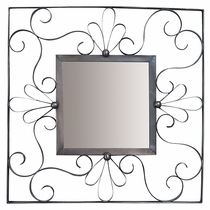 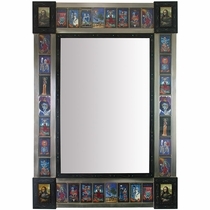 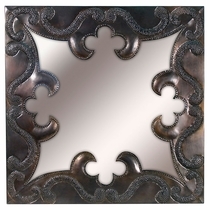 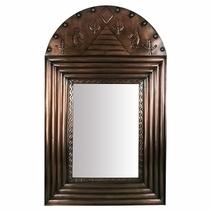 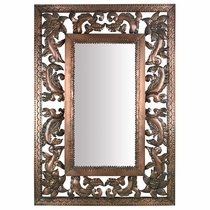 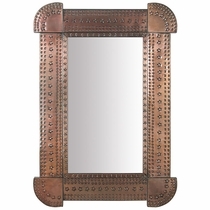 No two mirrors are alike because each is individually etched, stamped, punched and cut by skilled metal craftsmen. 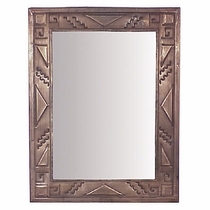 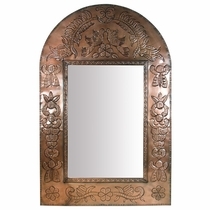 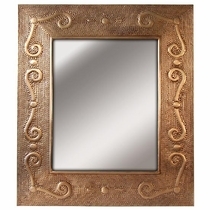 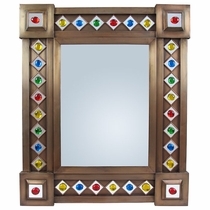 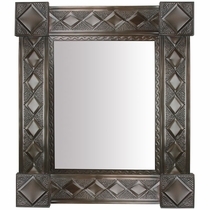 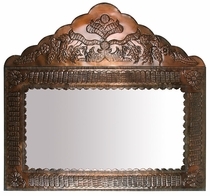 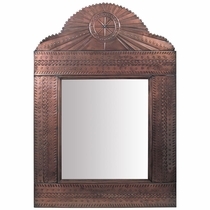 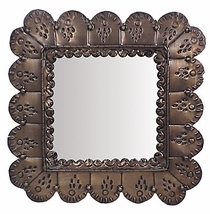 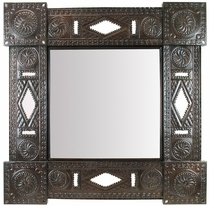 Whether you are looking for a practical wall mirror for the bathroom or bedroom or a decorative mirror to augment the southwest style in your living room, you can' t go wrong with a metal-crafted tin mirror from the artisans of Mexico. 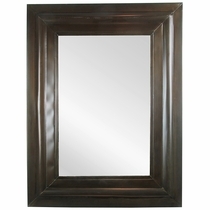 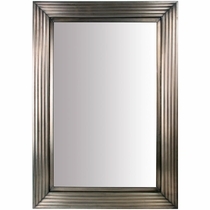 Most of our tin mirrors can be hung horizontally or vertically. 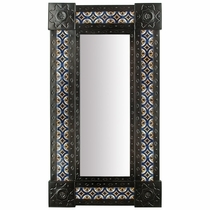 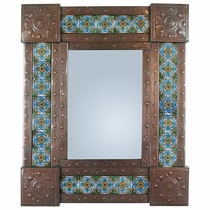 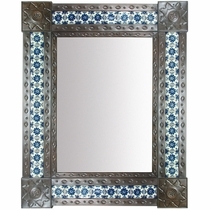 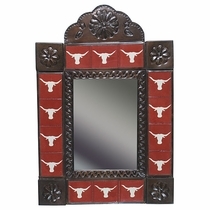 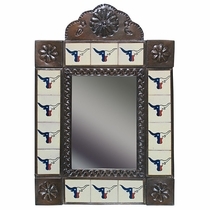 Mexican Punched Tin & Talavera Tile Mirror - 20" x 24"
Large Aged Tin & Mexican Tile Mirror - 31" x 25"
Large Narrow Aged Tin & Tile Mexican Wall Mirror - 20" x 36.5"